If you are a teenager who is looking for a girlfriend or boyfriend, there are a few ways to find love. A great deal of the time what you do before the relationship is just as important as what happens once you're in one. Here are some great ways to prepare to fall in love with your love match. Dating apps that can help you find a boyfriend or girlfriend with similar interests and relationship goals. Online dating sites for those who want to meet someone in a chat room, on dating sites, and blog platforms. Social media sites such as Facebook and Instagram. Ask other teen couples what qualities they like most in their boyfriends/girlfriends. Make your own list of what you want most in a guy or girl. Write out all the wonderful things you'll bring to the relationship. Write out a list of all the ways you could find a relationship. Get to know you: One of the most popular quizzes is the Myers Briggs Personality Test. This test can help you learn more about the person you are and the kind of girl or guy you want to date. You can also do the tween personality quiz if you are a young teenager. Find your dating style: Find out what kind of dater you are with fun dating quizzes. Try the Hot Dater Quiz and the Romantic Dating Quiz. Find out if your crush likes you: If you're wondering about someone you've got your eye on, take this relationship quiz to see if your guy friend likes you. You can also try quizzes made by teens at Quibblo. See if you're meant to be: If you have a boyfriend or girlfriend in mind, try this quiz to see if you're a good match for each other. Starlight Astrology which has tons of love match horoscopes to help you find a compatible boyfriend or girlfriend. Horoscope.com has love advice for those that are already in a relationship or are dating someone new. Birthday Love Calculator calculates your compatibility with your current love interest and gives you a percentage. Coffee shops that you frequent. The gym or after-school club sport. Keep in mind that if you go somewhere often enough, you will begin to recognize others who tend to frequent the same spot. 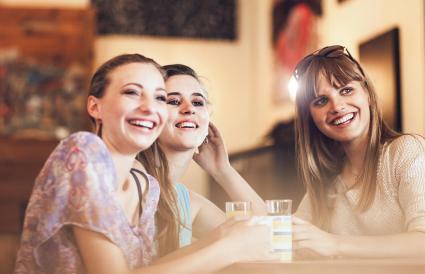 Keep your eyes open for a potential boyfriend or girlfriend who enjoys the same activity or restaurant that you like. Keep in mind that your ideal teenage love matches should like you equally in return. The best dates are the ones that are fun to be around, nice, and respectful. Once you know what you want in your love life as a teenager, you'll have more fun dating and know that a great match is out there for you.